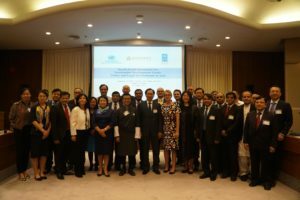 On August 23, 2017 UNDP, UNOSSC and Yingke Law Firm jointly organized the summit of “South-South Investment for Sustainable Development Goals: Policy and Legal environment in Asia” in UNESCAP conference hall which locates in Bangkok, the capital of Thailand. Following the signing of a cooperation agreement between UNDP and Yingke in UN headquarters that situates in New York on November 21, 2016, this is the first time for UN and Yingke to jointly hold a large-scale summit. The conference brought together hundreds of guests from government authorities, business circle, academic and research community all over the world. 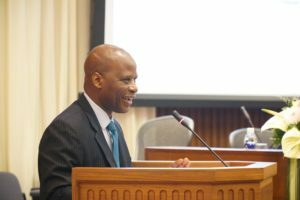 The opening ceremony was chaired by Mr. Denis Nkala, (Regional Coordinator/Representative for Asia-Pacific, UNOSSC). 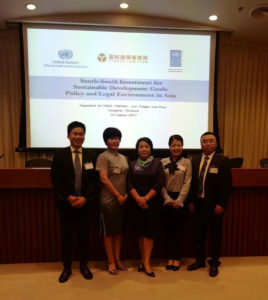 Ms. Valerie Cliff, (Deputy Regional Director of UNDP in Asia and the Pacific), Mr. Kiatchai Sophastienphong, (Vice Minister for Finance, Ministry of Finance, Thailand), Ms. Xiaojun Grace Wang， (Deputy Director, UNOSSC) and Ms. Linda Yang， (Executive Chairwoman of Yingke Global Board of Directors) made wonderful speeches at the opening ceremony. At the same time, the former Deputy Prime Minister of Thailand Dr. Bhokin Bhalakula also made an opening speech as a special guest. Figure above is the MC of opening ceremony, Mr. Denis Nkala,(Regional Coordinator/Representative for Asia-Pacific, UNOSSC). 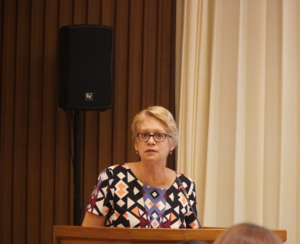 Figure above is Ms. Valerie Cliff, (Deputy Regional Director of UNDP in Asia and the Pacific), making a speech at the opening ceremony. Figure above is Mr. Kiatchai Sophastienphong, (Vice Minister for Finance, Ministry of Finance, Thailand), making a speech at the opening ceremony. 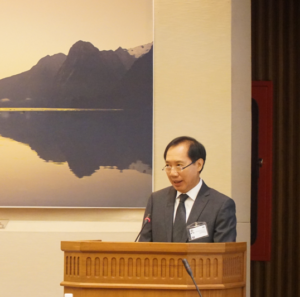 Figure above is Dr. Xiaojun Grace Wang, (Deputy Director, UNOSSC), making a speech at the opening ceremony. 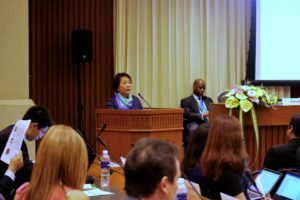 Figure above is Ms. Linda Yang, (Executive Chairwoman of Yingke Global Board of Directors), making a speech at the opening ceremony. 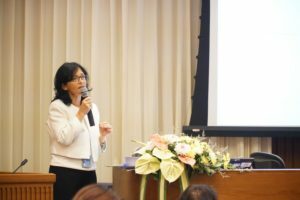 Figure above is Dr. Bhokin Bhalakula, (the former Deputy Prime Minister of Thailand), making an opening speech as a special guest. Then, the guests carried out panel discussion with titles of “South-South Investments for SDGs—Global, Regional and Country Trends, Experiences and Perspective”, “South-South Investment: Public and Private Partnerships and Perspectives”, “Policy and Legal Environment Risk management for South-South Investments”, “Opportunities and Strategies for South-South investment in Asia”, “Roundtable Sharing of Innovative Practices from Asia”, and so on. The attendees contain Ms. Simona Marinescu, (Chief of Profession and Director of Development Impact Group, Bureau for Policy and Programme Support, UNDP); Ms. Mia Mikic, ( Director, Trade, Investment and Innovation Division, United Nations Economic and Social Commission for Asia and the Pacific); Ms. Nan Collins, (Asia-Pacific Lead, South-South Cooperation and UNDP Social Impact Fund); Mr. David Galipeau, (UNDP Social Impact Fund); H.E. Lyonpo Lekey Dorji, (Minister of Economic Affairs, Bhutan); Dr. M Emdadul Hoque, ( Executive Member, Bangladesh Special Economic Zone Authority); Dr. Lukita Dinarsyah Tuwo, (First Vice Chairman of the Executive Team of the National Board of Special Economic Zones, Republic of Indonesia); Mr. Hiroshi Uematsu, (CEO, PPSEZ Cambodia’s experiences on SEZ); Dr. Xiheng Jiang, (Vice Director of Centre for International Knowledge on Development, China and Representative of SiLKS-Silk Road Think Tank Network); Mr. Uwe Wixforth, (Senior Policy and Strategy Advisor, Asian Infrastructure Investment Bank); Dr.Pakorn Peetathawatchai, (Senior Executive Vice President, Head of Corporate Strategy Division and Head of Finance & Investment Division, Stock Exchange of Thailand), and so forth. Figure above is Ms. Simona Marinescu, (Chief of Profession and Director of Development Impact Group, Bureau for Policy and Programme Support, UNDP), making a speech in the panel discussion. 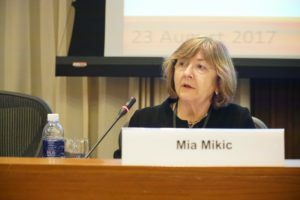 Figure above is Ms. Mia Mikic, (Director, Trade, Investment and Innovation Division, United Nations Economic and Social Commission for Asia and the Pacific), making a speech in the panel discussion. 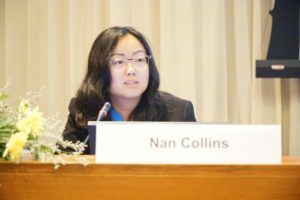 Figure above is Ms. Nan Collins, (Asia-Pacific Lead, South-South Cooperation and UNDP Social Impact Fund), making a speech in the panel discussion. 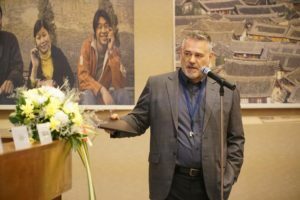 Figure above is Mr. David Galipeau, (UNDP Social Impact Fund), making a speech in the panel discussion. Figure above is H.E. 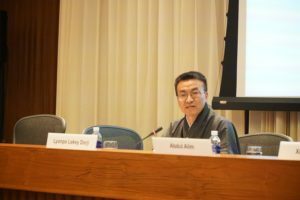 Lyonpo Lekey Dorji, (Minister of Economic Affairs, Bhutan), making a speech in the panel discussion. 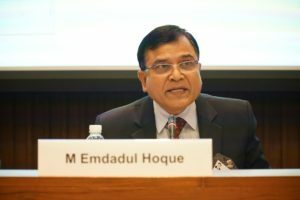 Figure above is Dr. M Emdadul Hoque, (Executive Member, Bangladesh Special Economic Zone Authority), making a speech in the panel discussion. 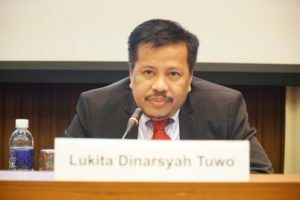 Figure above is Dr. Lukita Dinarsyah Tuwo, (First Vice Chairman of the Executive Team of the National Board of Special Economic Zones, Republic of Indonesia), making a speech in the panel discussion. 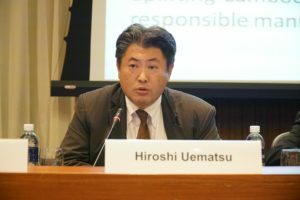 Figure above is Mr. Hiroshi Uematsu, (CEO, PPSEZ Cambodia’s experiences on SEZ), making a speech in the panel discussion. 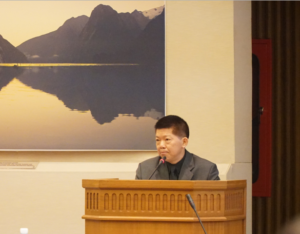 Figure above is Dr. Xiheng Jiang, (Vice Director of Centre for International Knowledge on Development, China and Representative of SiLKS-Silk Road Think Tank Network), making a speech in the panel discussion. 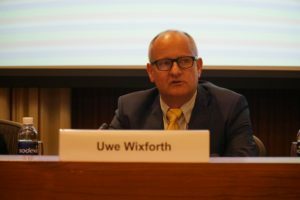 Figure above is Mr. Uwe Wixforth, (Senior Policy and Strategy Advisor, Asian Infrastructure Investment Bank), making a speech in the panel discussion. 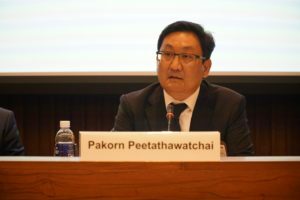 Figure above is Dr.Pakorn Peetathawatchai, (Senior Executive Vice President, Head of Corporate Strategy Division, and Head of Finance & Investment Division, Stock Exchange of Thailand), making a speech in the panel discussion. 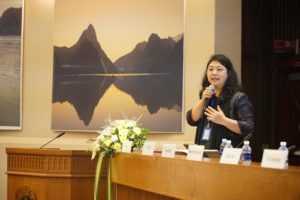 Ms. Linda Yang, (Executive Chairwoman of Yingke Global Board of Directors), held the forum of “Policy and Legal Environment Risk management for South-South Investments” as the moderator. Mr. Rob Hurenkamp, (Managing Partner, Mazars (Thailand) Ltd), Dr. André de Mello e Souza， (Senior Research Fellow at Instituto de Pesquisa Econômica Aplicada (IPEA) Brazil- NeST representative), Dr. Sajid Amin, [Head, Policy Solutions Lab, SDPI (Southern Voice Representative)], and Ms. Audray Souche, (Managing Partner, DFDL Law Firm in Thailand) launched in-depth discussion from the point of view of think tank policy, market, data research and professional practices. Figure above is Mr. 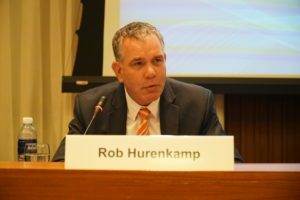 Rob Hurenkamp, (Managing Partner, Mazars (Thailand) Ltd), making a speech in the panel discussion. 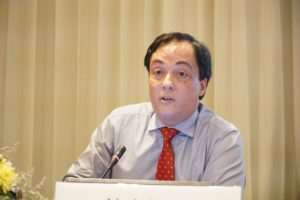 Figure above is Dr. André de Mello e Souza, (Senior Research Fellow at Instituto de Pesquisa Econômica Aplicada (IPEA) Brazil- NeST representative), making a speech in the panel discussion. Figure above is Dr. Sajid Amin, [Head, Policy Solutions Lab, SDPI (Southern Voice Representative)], making a speech in the panel discussion. 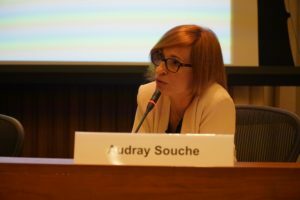 Figure above is Ms. Audray Souche, (Managing Partner, DFDL Law Firm in Thailand), making a speech in the panel discussion. 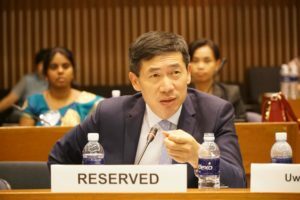 Mr. Haoliang Xu, (UN Assistant Secretary General, UNDP Assistant Administrator & Regional Director for Asia Pacific Bureau), made a closing speech. 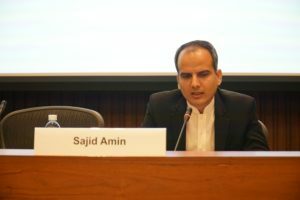 He stated that this summit collected the UN, national government authorities, think tank, academic institutions and entrepreneurs, and everyone from their respective perspective took part in the discussion, which was a very valuable information sharing, and also was beneficial to promote the sustainable development of South-South countries. Figure above is Mr. Haoliang Xu, (UN Assistant Secretary General, UNDP Assistant Administrator & Regional Director for Asia Pacific Bureau) in the conference site. Figure above is a group photo of honored guests present in the event. Figure above is a group photo between Ms. Linda Yang, (Executive Chairwoman of Yingke Global Board of Directors), and Yingke lawyers present in the event. 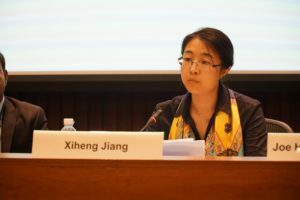 Yingke, as one of five founding institutions of the Global Think Tank of the United Nations South-South Cooperation, will pay more attention to investment and cooperation between China and other Asian countries, and better integrate resources in order to provide Chinese enterprises’ overseas investment a full range of services and supports; offer global client “one -stop” services of cross-border culture, business, investment, legal and tax, etc. ; supply global companies who invest in China and Chinese enterprises who invest abroad market entrance guidance of investment target nations, docking investment opportunities, analysis of the feasibility of the investment projects, legal and tax services, consulting services, and other professional and efficient services, with the aim of enhancing communication and trust between China and foreign partners, bridging the gap of in language, culture and thinking patterns, as well as becoming the preferred partner of overseas investment of Chinese enterprises, boosting Chinese “One Belt One Road” strategy and continue to promoting the South-South cooperation advocated by the United Nations.